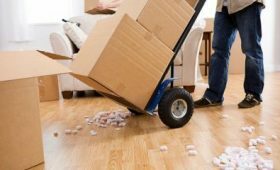 After Hawaii’s premier moving and storage company, WestPac International, relocates you into your new home, there are a few critical steps you should take as you settle in. 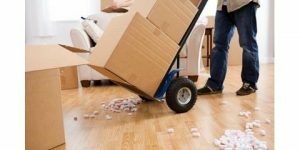 You might want to just collapse for a four-day nap after the moving process, but the moving services company has a few tips to ensure you and your family are safe and happy in your new abode. Replace Exterior Locks: Many people have had access to your new home at this point, including the previous owners, the realtors, former workers on the property and more. For your own safety and security, plan to purchase and install new locks, or have a locksmith visit your home to do just that. You will feel like the home is really officially yours. Hire a Professional Cleaner: The previous owners may have left the house in decent condition, but a thorough scrub down of the interior will ensure that the home is ready for you and your family. Of course, you can perform this task, or you can hire a professional to come in and whip the place into shape. Inspect Mechanical Equipment: Before you get settled in your new home, have a reputable technician inspect and clean your heating and cooling systems. You definitely don’t want to be caught unawares should your air conditioning go on the fritz. 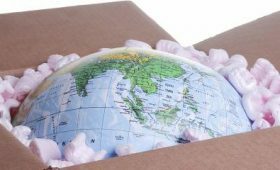 For more than 25 years, WestPac International has been assisting with long distance and local moves. They carry moving supplies in order to perform packing and crating services. Customer satisfaction is a tremendous priority, and WestPac International offers moving services 24/7 as well as uniquely trained emergency services. To receive a quote or to schedule a move, call the courteous staff in Honolulu today at (808) 845-9711. Be sure to follow WestPac International on Facebook and Twitter.